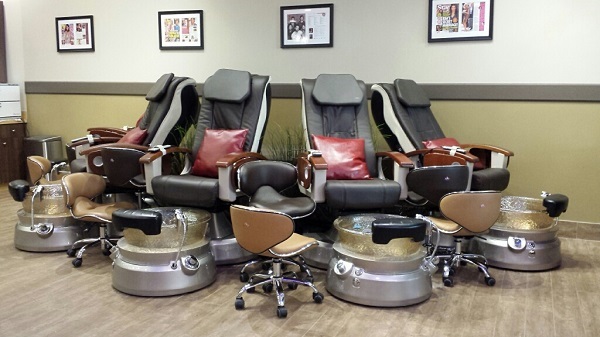 Hey North Valley friends, there’s a new nail salon in town! 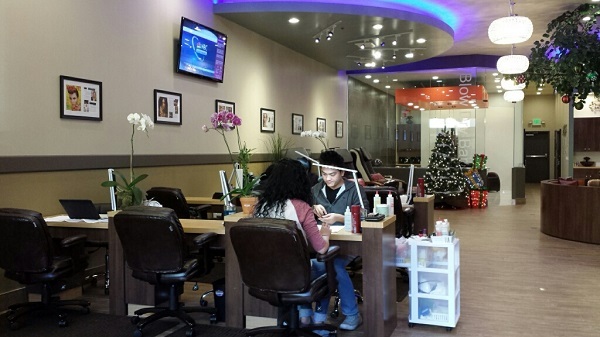 The Nail Garden opened up its doors a few months ago in Porter Ranch. 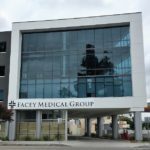 I had visited the one in Valencia, but I was thrilled to find out that one had opened up near my house. 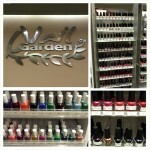 Last week I ventured over to the Whole Foods shopping center on Tampa & Rinaldi where the Nail Garden is located. As soon as I stepped inside, I immediately saw all of the pretty nail polish colors. So many to choose from, it was hard to decide on what colors to pick! The salon is light & bright. There are several nail stations to get your manicure applied. Since I was going to have both a manicure & pedicure done, I got to sit in one of these chairs! One of the technicians worked on my feet while a second one gave me a manicure. My favorite part was when I got a 5 minute neck/shoulder massage while my hands were wrapped in cellophane during the paraffin treatment. Heaven! I don’t know about you, but during the winter my heels get very dry. However my feet were super soft after the sea salt scrub, foot massage & paraffin wax treatment. In case you didn’t know, there are several Nail Gardens in the Los Angeles area. 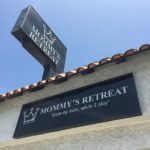 This newest one in Porter Ranch happens to be the third one in the Valley! 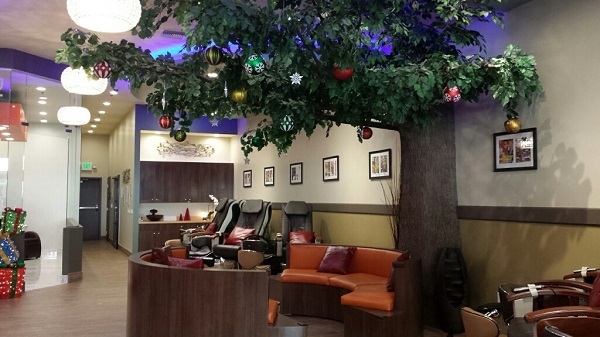 Each salon has a decorative tree in their waiting area. I love how they decorated it for the holidays! 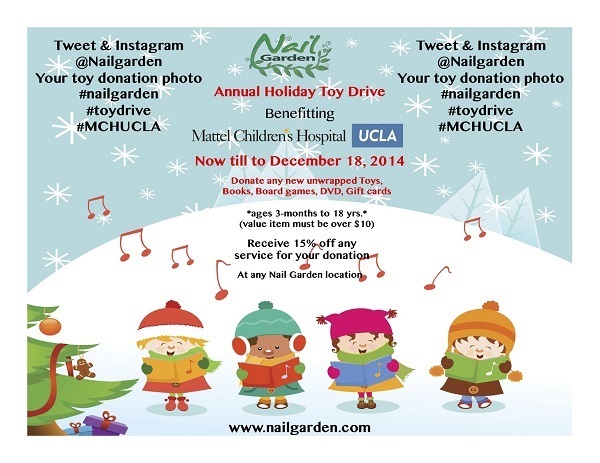 Every holiday season, all Nail Garden Salons participate in their Holiday Toy Drive which benefits Mattel Children’s Hospital UCLA. 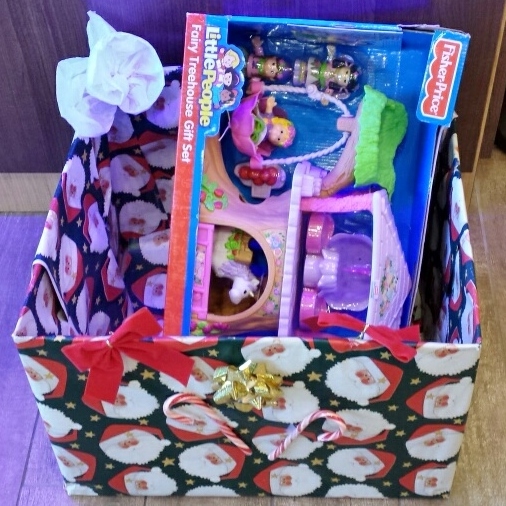 Bring an unwrapped toy & you’ll save 15% off any service (offer expires on December 18th). 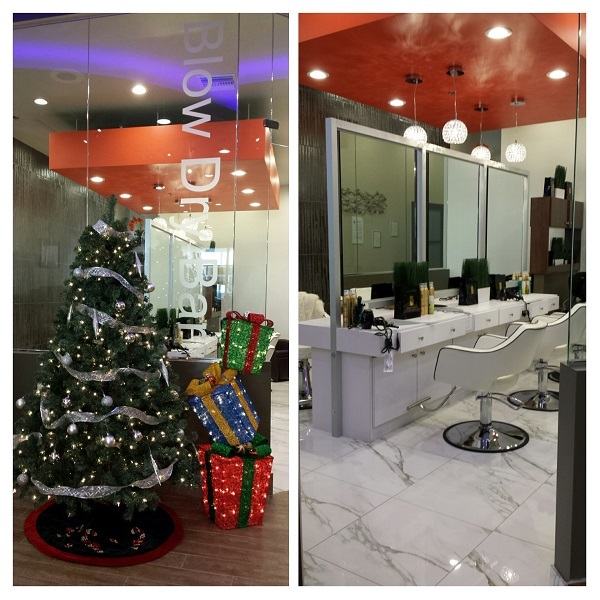 Speaking of services, Nail Garden offers blow outs & hair style packages at this Porter Ranch location. 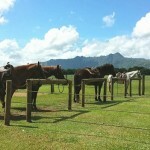 What a perfect place to get holiday ready! 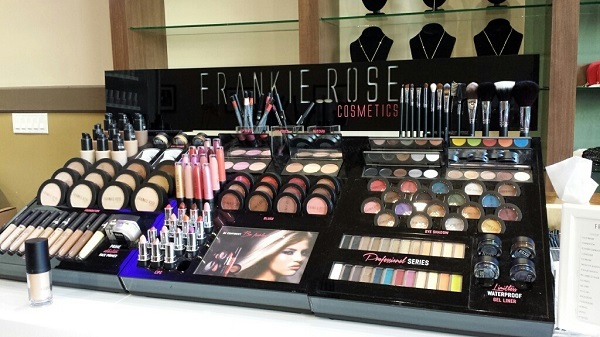 They also offer makeup services so that you can get glammed up for that special event. So what color did I end up choosing? I got red for my nails (hands & feet) but got my ring fingers painted green to be in the spirit of the season. Thanks to Nail Garden Porter Ranch, my nails are ready for the holidays! 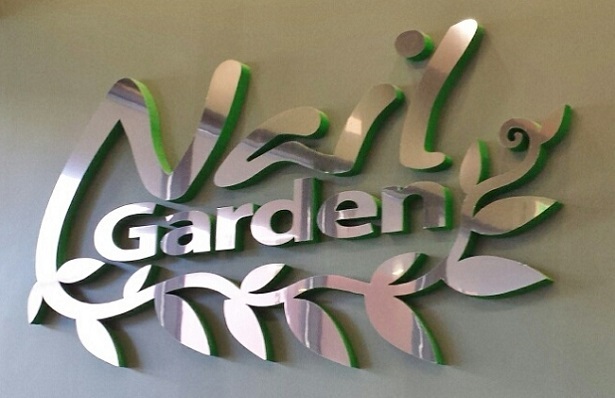 For more information on Nail Garden, check out their website & Facebook page. So tell me, do you get your nails done in a special theme for the holidays? 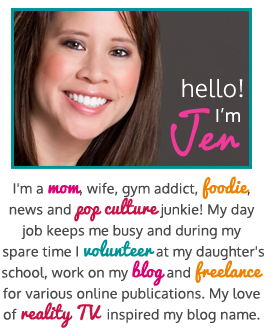 Disclosure: No monetary compensation was received for this post. 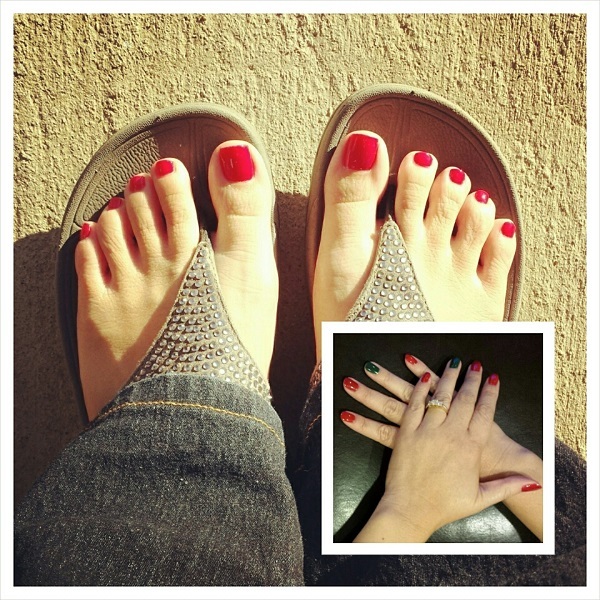 I received a complimentary manicure & pedicure, which helped facilitate this review. All images are my own unless otherwise noted. As always, my opinions are 100% my own.